Children’s Vision & Learning Month Campaign Informs Parents about the Critical Link between Vision and Learning - Help COVD Spread the Word! In 1995 President Bill Clinton launched the August Campaign for Children’s Vision and Learning Month by issuing a Presidential Proclamation wherein he states: “Sadly, many American children suffer from vision-related learning disabilities that jeopardize their academic success. But with early intervention, many sight problems can be easily corrected, enabling these students to excel.” Since then, August carries a special message for parents throughout the world. 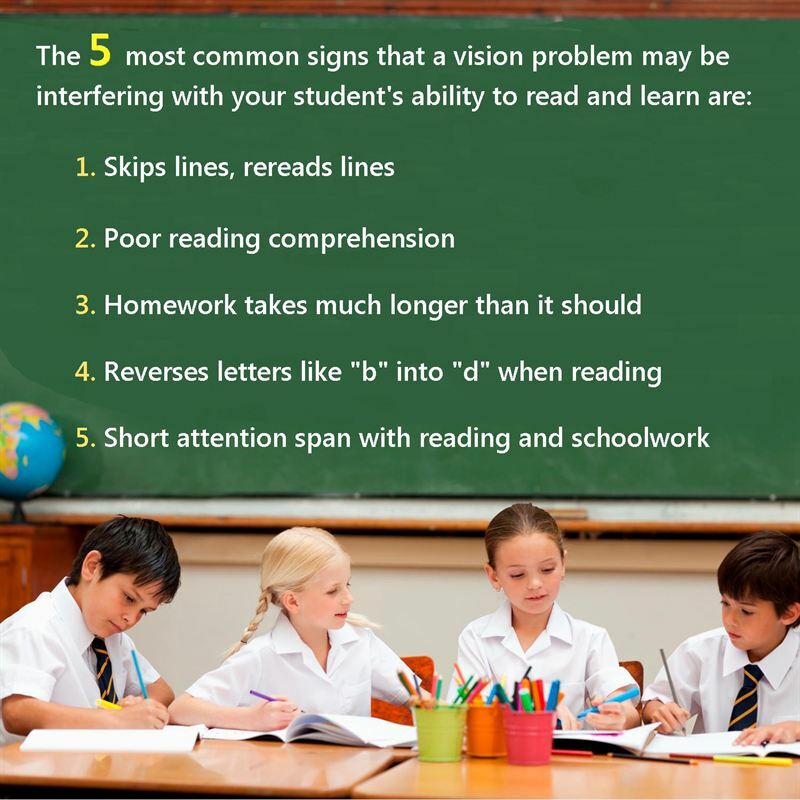 If your child is struggling with reading, it is time to ensure he or she has the visual skills required for academic success. 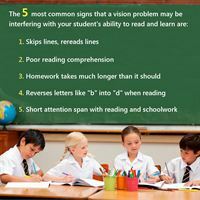 Do you know the signs that indicate your child could have a vision problem? Take the Vision Quiz available on the College of Optometrists in Vision Development (COVD) website, covd.org. “Over the years, local, national, and even international news reporters have featured the life changing improvements that are possible when underlying vision problems have been identified and treated with optometric vision therapy,” states Dr. Ida Chung, COVD President. Most people don’t realize you need 17 visual skills to succeed in reading, learning, sports, and in life. Seeing “20/20” is just one of those skills. Does your child have all the visual skills required for academic success? Parents from around the globe who have learned about optometric vision therapy have stepped forward to share their individual stories with the hope that they can help other parents put an end to their children’s struggles. 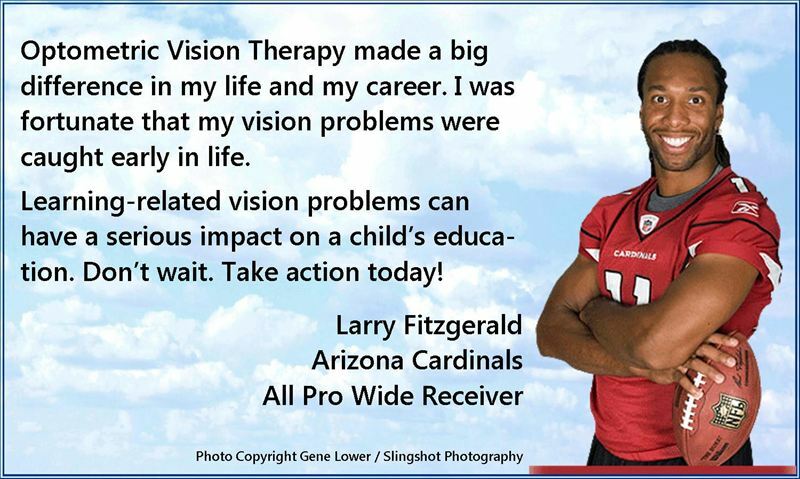 In addition, community influencers like pediatricians, neurologists, ophthalmologists, educators, authors, a neuro-scientist, and even NFL football player, Arizona Cardinals 2008 NFC West Champions' wide-receiver, Larry Fitzgerald, have participated in the campaign to share their success stories. Hundreds of thousands of children have been helped from optometric vision therapy but there are still millions of children out there who continue to struggle unnecessarily because of undetected vision problems. Proclamations continue to be issued by governors and mayors across the US, with more than 200 proclamations issued since COVD took over the campaign in 2005 from the American Foundation for Vision Awareness. But there is more work to do.